Agency group made its name helping Unilever on U-Studio. The agency group behind Oliver, which specialises in helping advertisers take marketing services in-house and on-site, has sold a majority stake to brand-tech group You & Mr Jones. 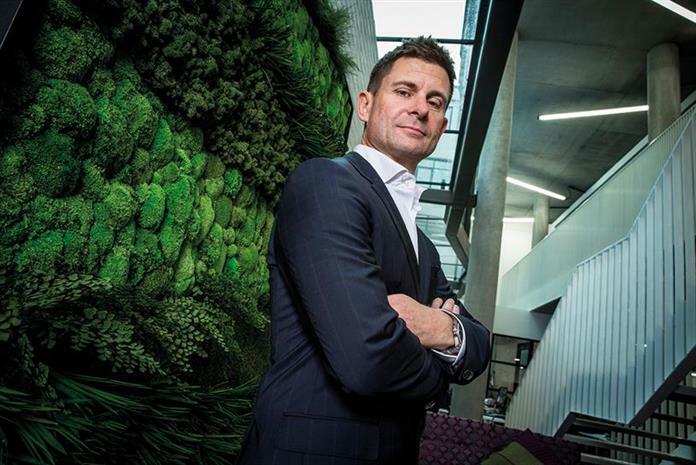 Simon Martin, founder of Inside Ideas Group, which includes Oliver, said he felt You & Mr Jones, which was set up by former Havas global chief executive David Jones, would be a good fit in terms of business and culture. Terms for the sale of London-based Inside Ideas Group were not disclosed, but one industry source estimated that the group, which also includes creative shop Dare and video content agency Adjust Your Set, could be valued at close to £200m. Martin, who owned more than 50% of Inside Ideas Group, said he could not comment on price. He said: "I still retain a significant stake in the business and I’m here for the long term." Annual accounts for Inside Ideas Group at Companies House show that it was forecasting earnings before exceptional items of £7.5m last year and that was expected to rise further. Martin set up Oliver in 2004 and it has made its name helping brands "in-house" marketing services, most notably Unilever with its U-Studio, and other brands such as TSB and Barclaycard, which all have "on-site" agencies staffed by Oliver. Unilever has claimed that U-Studio has cut costs by 30% compared with using traditional ad agencies and its top marketer, Keith Weed, backed what he called Oliver’s "exciting" deal with You & Mr Jones. Martin explained the rationale for a sale, telling Campaign: "The world is changing at a rapid pace. The opportunity to help brands connect with consumers in new ways, to achieve better results, to build their brand, has never been greater. "What You & Mr Jones as a brand-tech group has got is a wonderful set of businesses and technologies, including Mobkoi and Mofilm and stakes in Pinterest and VidMob. "They are big opportunities for our people to do better work – faster, better and for less money – for our clients." He said it made sense for a growing number of advertisers to bring marketing services closer – on-site and in-house in the client’s office. "It’s about bringing innovation together with technology to help brands connect better with consumers and drive performance," Martin said. He added that he felt there was a good cultural fit with You & Mr Jones, which launched in 2015. "We like them. We like their values. They are part-owned by [UK charity] One Young World. I really like David and their people," Martin said. Jones, founder and chief executive of You & Mr Jones, said: "When we launched in 2015, we set out to disrupt marketing using technology and to create a brand-new model for clients. "Simon is a brilliant talent and, with Oliver, he's created an equally disruptive model that's delivering brilliant creativity in-house and generating hundreds of millions of dollars in savings for global brands. "Plugging Oliver’s in-house model – and its sophisticated content creation and management technology platform – into our You & Mr Jones tech ecosystem is a very powerful combination. "Together, we can create enterprise-level marketing solutions at an unprecedented scale and transform profoundly how a brand does its marketing." The deal is the largest that Jones has done since setting up his brand-tech group. Weed, chief marketing and communications officer at Unilever, said: "We were an early convert to the radically different approach that Oliver takes in partnering with its clients and we have also seen the great advantages of working with the You & Mr Jones ecosystem of technology companies. "This is an exciting deal and it will deliver significant advantages for brands looking to deliver better, faster, cheaper marketing at global scale." There was widespread speculation that Inside Ideas Group was up for sale last year and Martin said there has been "a great deal of interest in our business". GP Bullhound, the corporate advisory company that sold Karmarama to Accenture, advised Inside Ideas Group on its sale. Simon Nicholls, partner at GP Bullhound, said: "The delivery of marketing services is seeing material disruption from both new entrants and new business models, like Oliver’s, designed ground up for the multichannel and always-on digital age. "Oliver is a true pioneer and category leader, and I expect its rapid growth to accelerate as part of You & Mr Jones." Which ad agency makes the most money?